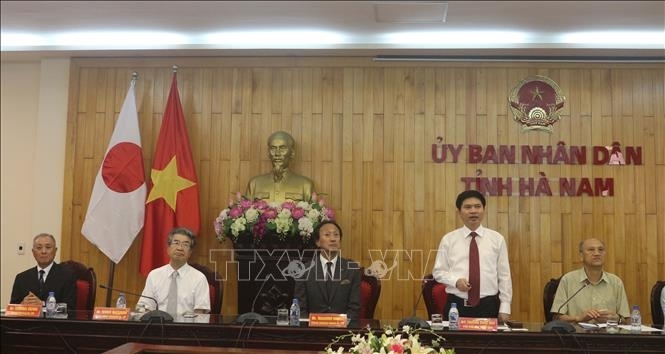 Truong Quoc Huy, Vice Chairman of the provincial People’s Committee, briefed the guests about the province’s economic potential and investment attraction policies, saying that Ha Nam is giving priority to luring investment in the hi-tech and supporting industries. Dong Van III Industrial Park, with favorable location and good infrastructure, is reserved for Japanese investors, he said. 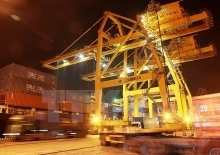 The province’s policy aims to lure investors to hi-tech industrial parks and clean agricultural production, as well as in the fields of high-quality healthcare, education and training, and tourism, Huy said, noting that when investing in the Ha Nam, businesses will be strongly supported by the local authorities. Ha Nam always considers Japanese firms as main partners in its investment attraction policy, he affirmed. 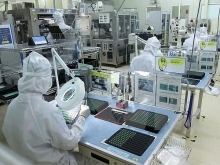 The province is home to 226 foreign direct investment (FDI) projects totaling US$2.5 billion in registered capital, including 75 projects worth US$800 million invested by Japanese enterprises. Ha Nam highly evaluated the investment and cooperation competence of Japanese businesses and expected more Japanese investors to carry out projects in the province, Huy said. Takahiro Hirose, Chairman of the Chiyoda Electrical Industry Group, said the delegation’s visit aims to explore the actual investment environment in Ha Nam, adding that many businesses in Tokyo are interested in and want to invest in the province.